You have something to say. You have a favorite topic and you have plenty of knowledge you’d like to share with the world. 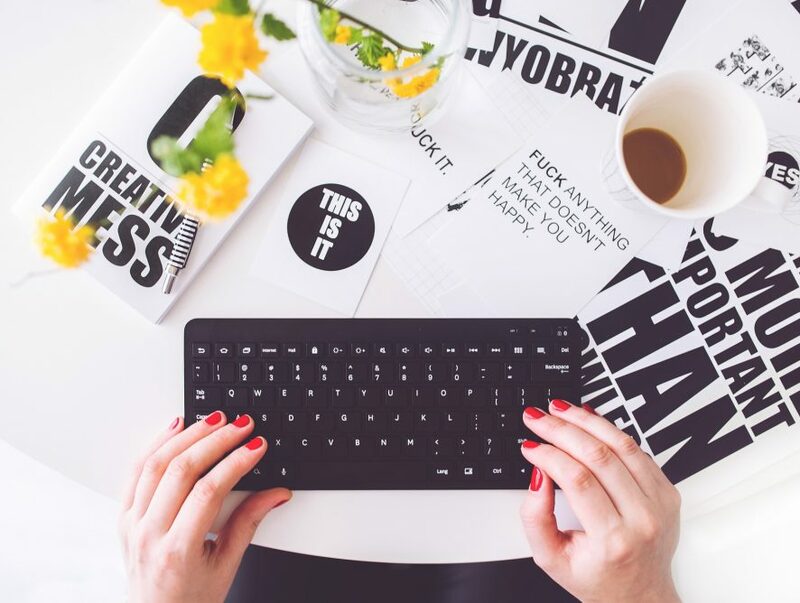 Probably you have been thinking about launching your own blog for quite a while now. You’ve done your research and now you know why WordPress is the most commonly used platform out there. However, you are still a bit unsure where to start from. Relax. We got you covered. In this step-by-step guide, everything is put simply with no irrelevant information. This guide is just straight to the point. Ok, WordPress is free and is perfect for beginners. 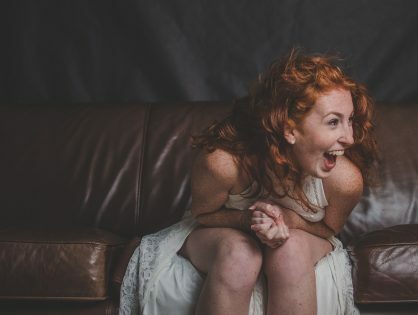 Yes, there are many useful plugins that can make your life easier and some of them are paid but at the very beginning you need to utilize the platform first. Remember, this is a beginner’s guide. Since WordPress is free you have to provide your own domain name and web hosting. Web hosting is where your website resides on the internet. Think of it like the house of your site. 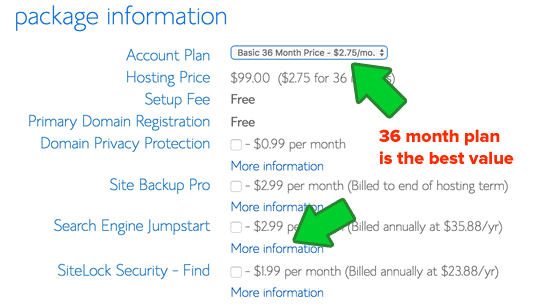 A web hosting costs around $8 a month, while a domain name might be near $15 per year. 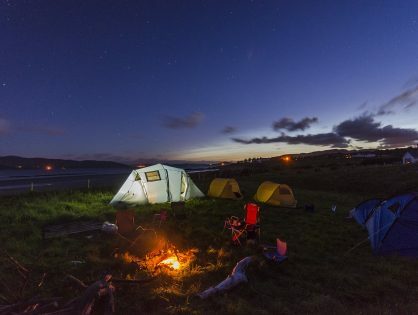 For more information on domains and hosting check this article. Yes, I know these numbers might be too much for a newbie. Where do we go now? There is a hosting provider that works with WordPress for more than 13 years now. 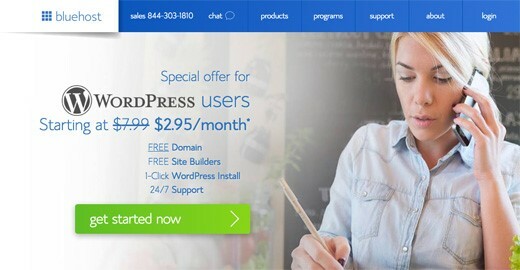 It’s called Bluehost and it has special discounts for WordPress clients. You even get a free domain, how cool is that? It’s time we get you a domain and hosting. All you have to do is go to https://www.bluehost.com/ and follow the steps. Click on the big green button “get started now”. On the next page, you are asked to pick a plan. Look at the details and select the one you like. Basic works just fine, don’t worry. Now it’s time to type your domain name. Then fill your information, preferences, etc. The page might offer you some additional packages but you don’t need to go for them from the very beginning. You can add them later, anyway. Once you are finished, you should receive an email with info on how to login to your web hosting control panel (cPanel). From your cPanel, you manage practically everything and most importantly – install WordPress. 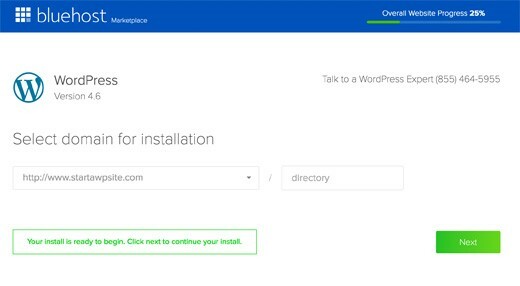 The panel will redirect you to Marketplace Quick Install for WordPress. Hit the “Get Started” button. 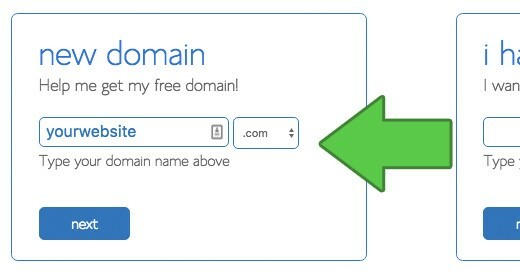 Now select a domain name and use the drop-down menu to select the domain. “Next”. Almost ready! 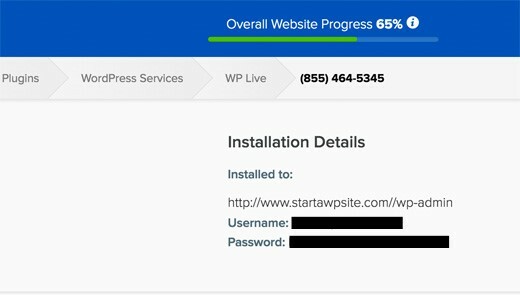 Type the name of your website, username, and pass, tick the boxes and hit ‘’Install’’. While the installation takes place you can choose a theme for your website. Also, you can skip that and do it later. When you see this, you know you’re ready. Click on the Installation Complete the link. Click on it and log in to see your dashboard. Since perhaps nobody will like it, you should consider getting some more appealing outlook. Let your imagination and creativity do the work. By clicking on ‘’Add New” a new screen will open. Here you can choose from thousands of themes. Unleash your mind. Once you’ve selected the theme that suits you best, just put your mouse on it and click ‘’Install”. After the process of installation is complete you have to activate your theme by clicking ‘’Activate”. 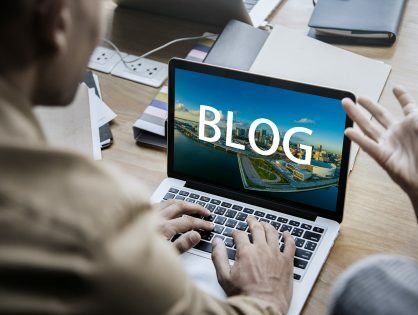 I think it’s time you finally create your first blog post. In order to do that click on ‘’Add Posts” and then “Add New”. Type your text and then decide whether you want to have your post published now or later. If you want to organize your posts in different categories use the category and tag functions on your right. 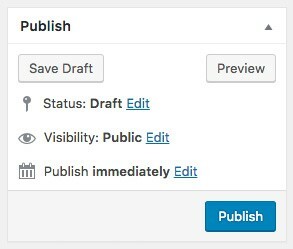 By clicking “Publish” you immediately share your post with the world. Don’t worry if you’ve messed up something in your body. You can easily edit your posts anytime. If you decide that you want to customize your website, in the future you can use a plugin. There are plugins that do practically everything. How to get one? 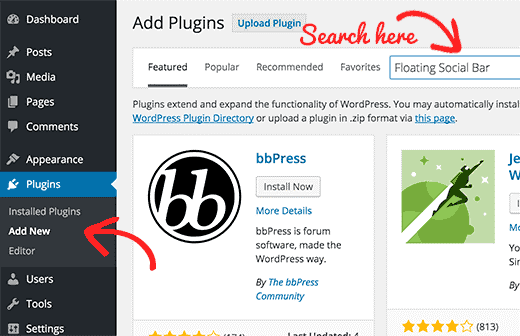 On your dashboard click “Plugins” and then ‘’Add new”. 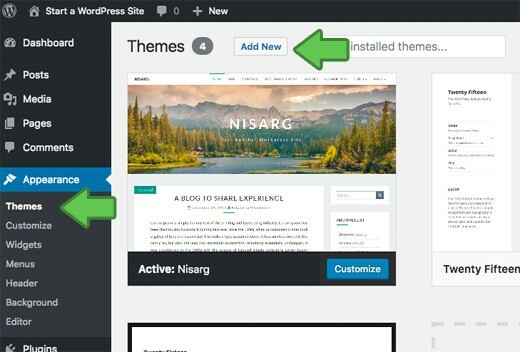 You browse and install plugins just as you did with your theme. That’s it, folks. 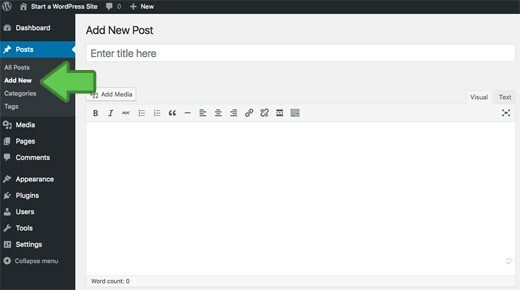 Creating a WordPress blog has never been easier. Remember, this is a beginner’s guide. Feel free to publish and customize your content as you like. Explore the limitless functions WordPress offers, once you feel confident. 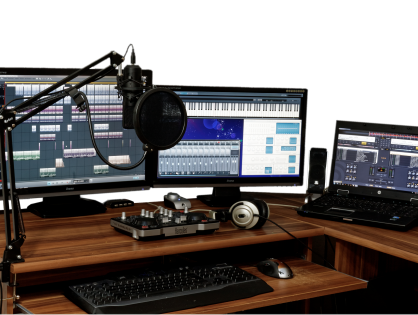 How To Set Up Your Home Studio For Under $400? 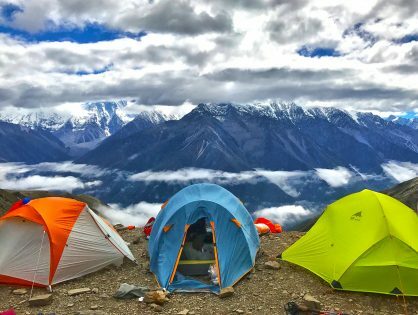 How To Land The Perfect Tent?